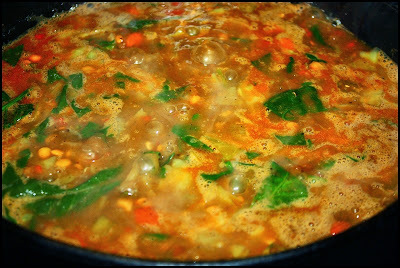 This is a variation of my more traditional Lebanese Lentil Soup recipe; in this version I added many more vegetables. This is super easy to make and yes it tastes as good as it looks. The vegetables I added are simply suggestions (it's what I had on hand), use whatever you like. This is easily a meal in itself, and if you reduce the liquid and make it thick enough you can serve it over rice. And while it is a large-ish quantity, this soup freezes well. This soup is delicious and appropriate year-round but is especially fitting during the colder months. 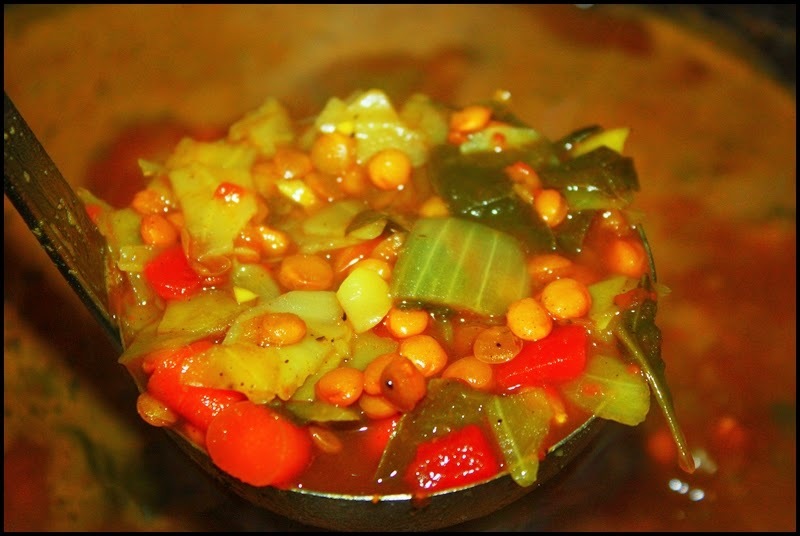 Heat the oil in a heavy soup pot over medium-high heat then add the onion pepper, carrot, and cabbage. Sweat the vegetables for a few minutes then add the garlic; cook the vegetables a couple minutes longer. 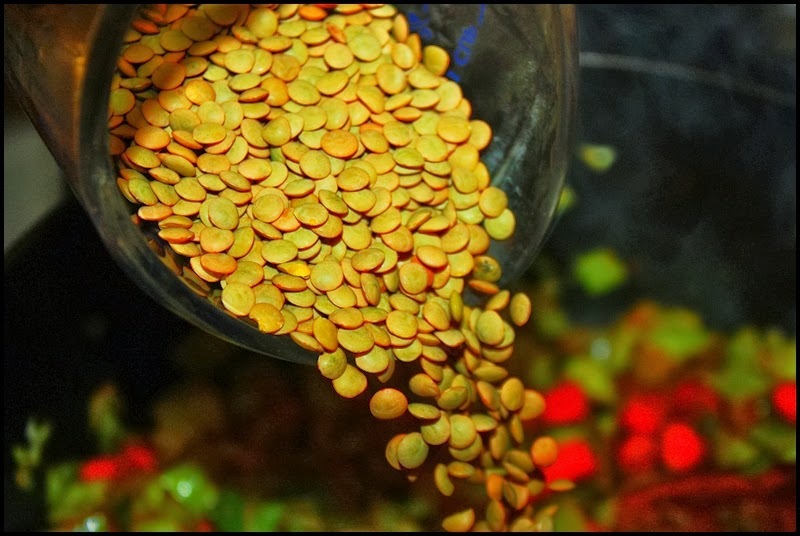 Stir in the seven spice mix, turmeric, and salt; cook for a minute or so, then add the lentils, tomatoes, chicken broth, and potato. Bring the soup to a boil, then lower it to a simmer. Cook the soup for about 45 minutes, stirring occasionally. If it becomes too thick add additional broth or water. Stir in the spinach and cook it for about 5 minutes. Then stir in the lemon juice and simmer another five minutes, or until the lentils are very soft.